Hanna Andersson is having a big summer clearance sale, with reductions up to 60%. I absolutely love these little orange and purple stripe pieces; the baby knit pillowcase set (up to 3.5 years) is marked down from $32 to $15. 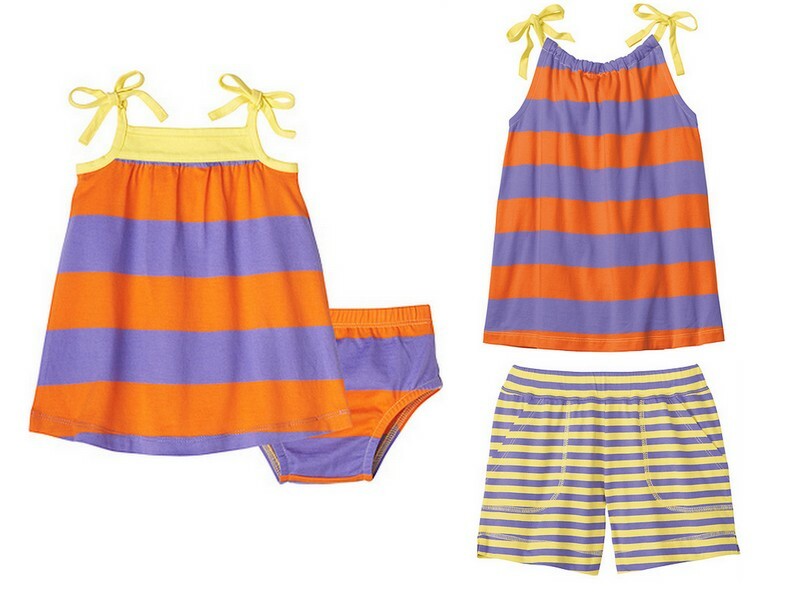 The girls' stripey pillowcase top on the right (sizes 10 months to 12 years) and the striped free time shorts have been marked down to $14 and $12, respectively. I saw these last week in a Hanna Andersson store and promise that the colors are even better in person. And the knit is as substantial, soft and long-wearing as you could ever ask for. 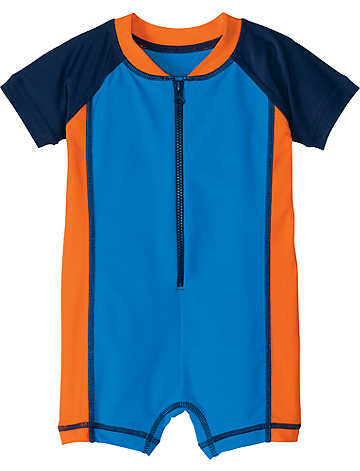 Above you will find the perfect baby boy one-piece "swimmy" rash guard swimsuit. One of my small people had a version of this a few years ago and it was fabulous. This is just $14 instead of $30 right now. $8 hats!!! We own and love both of the styles above and find that they do a great job shading necks and faces from aggressive sunlight. Find the floppy sun hat (with ties) here and the reversible bucket hat here. They all are really just $8. 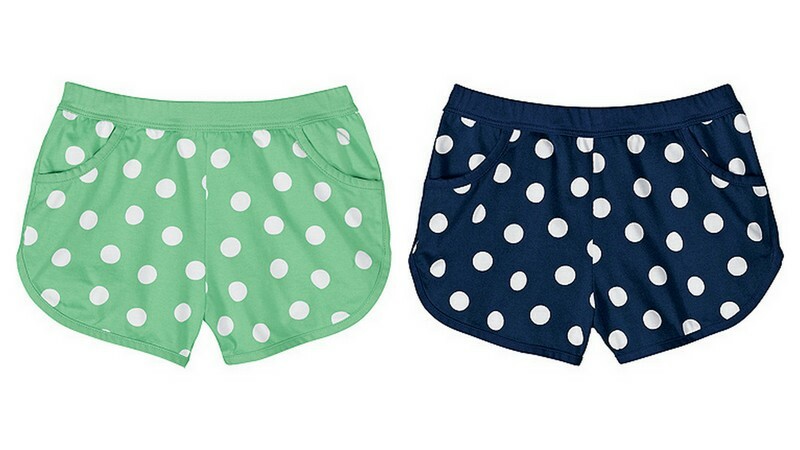 Lastly, these great little "spot on" shorts in jersey knit. They remind me of being a kid in the 70's and 80's (in the best sort of way). Currently marked down from $26 to $12. Hooray for reasonably-priced Hannas!